Spring is such a great time of the year! Being back in the Midwest reminds me how wonderful Spring really can be. We’ve all made it through the grays of winter, the weather starts to warm, little bits of growth start popping up outdoors and we finally get to see a few days of sunshine. 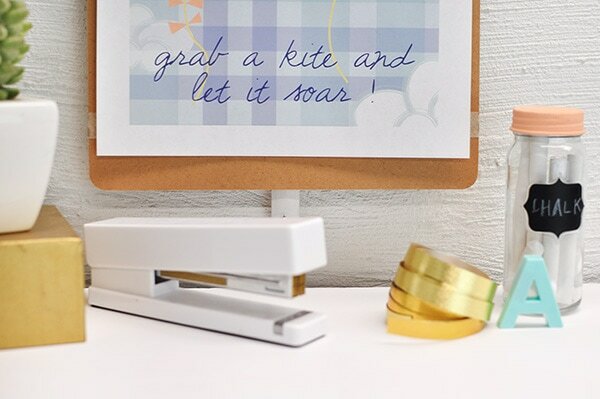 Today I am excited to share an encouraging Let it Soar, Spring Printable with you all! I recently bought a small kite for my kids to play with this Spring. 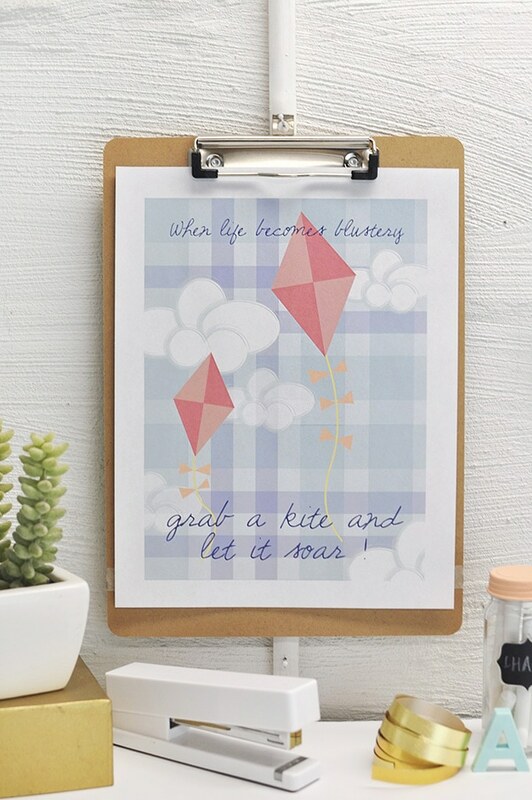 And when Kristen of Ella Claire asked me to participate in a Spring Printable blog hop (be sure to scroll the bottom of post for 33 other FREE prints), I knew I wanted to incorporate a fun graphic kite into my print. I am a huge fan of hanging clipboards through out my home as I think they are the perfect neutral palette for easy decoration, inspiration, and pops of color. 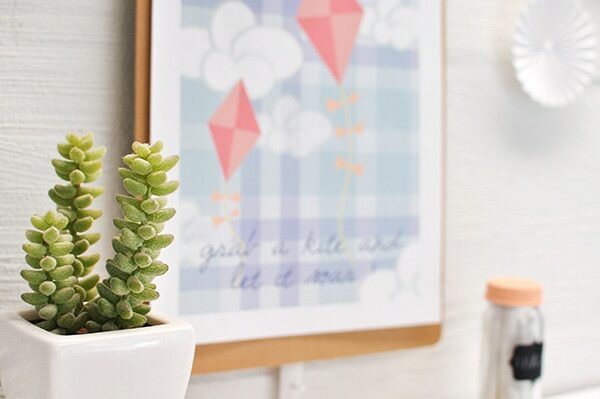 I currently have clipboards hanging in my dining room and in my craft area… where this sweet printable now lives! 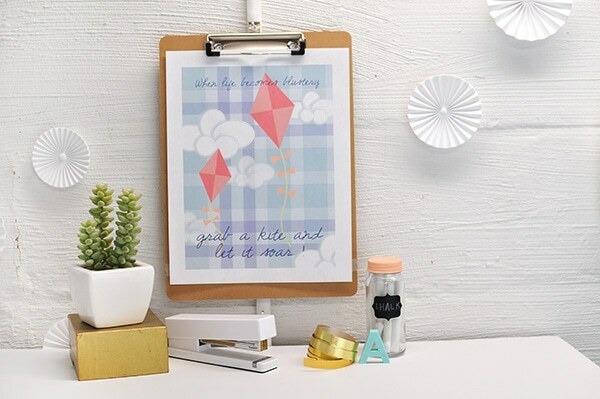 Not only do I love the cheerful spring color palette of this print, but I love the message behind it. 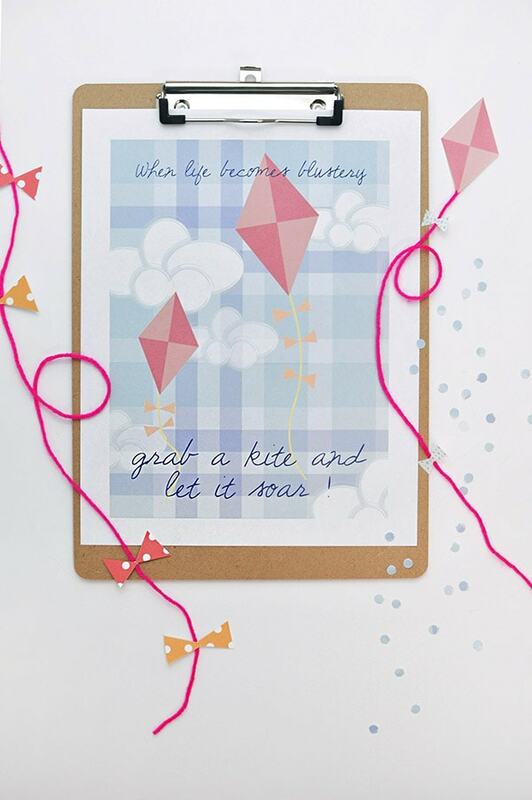 When life becomes hard, don’t give up… grab a kite and let it soar! Please remember that it is free for personal use only, and is not to be sold in any form. I hope you enjoy it in your home! And be prepared for having to immediately download all THIRTY THREE of these prints because they are all stunning! And you better believe some of these will soon be hanging in my dining room clipboards! Enjoy. Love it with the sweet little kites. 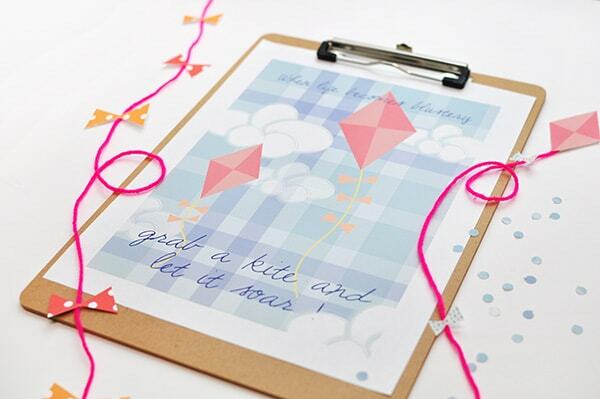 So many little touches I loved about this— the checked blue sky instead of solid, the little kites you made with yarn…. so sweet! This would work great for summer too! It is so adorable Amy! I love it! !